This century-old residence just north of High Park is situated on an unusually wide lot for a semi, and boasts a renovated interior and updated mechanics. These attributes — along with the fact that the house is divided into two apartments — helped spark a bidding war, and pushed the selling price $71,100 over asking. 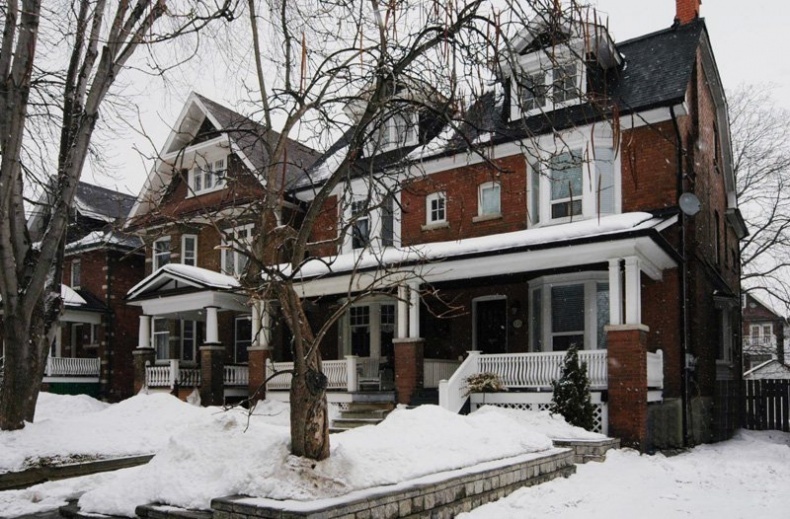 Describing the home as "nice and big," agent Julie Kinnear notes that typical semis in the leafy community near Bloor and Keele have frontages of about 18 feet, and some are as narrow as 14 or 15 feet. "And of course, I'm a big fan of the neighbourhood," she adds. That there were two units — each having its own water heater and hydro system — had great appeal, the agent says. "You could own it with a sibling or friend, because [the apartments are] both owner-sized suites," which is unusual, she adds. The first unit is on the main and lower levels. The living and dining rooms, with bay windows and hardwood floors, are separated by French doors. At the rear are a full bathroom, and an eat-in kitchen that opens to a deck and fenced backyard. Two bedrooms — both with carpeting and pot lights, and one with a two-piece ensuite — are in the basement. In the other unit, which takes up the next two levels, the living room, master suite, sunroom, eat-in kitchen and full bathroom are on the second floor, while the third floor houses two bedrooms with refinished hardwood floors. One also has a skylight. There is a rare private driveway for two cars.